For Adriana Lestido, photography is a tool for exploring her condition as a woman in society from multiple points of view. 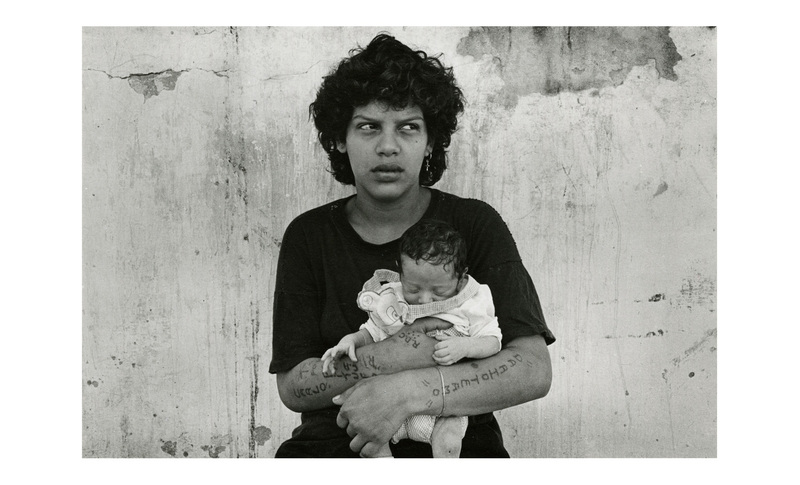 In the 1990s, after having photographed women in the series Hospital Infanto-juvenil and Madres adolescentes, Lestido recorded the lives of women in prison. The photographs of the series Mujeres presas are the result of numerous visits to various women’s prisons in Argentina, where she documented the daily lives of the inmates. Imbued with loneliness, the images are marked by the absence of men and the emotional isolation of the prisoners: already separated from their husbands and boyfriends, and soon to be separated, by law, from their children born in the prison. Born in 1955 in Buenos Aires, Argentina. Lives in Buenos Aires, Argentina. Adriana Lestido began to study photography in 1979. From 1980 to 1995, she worked as a photojournalist for the news agency DyN and the newspapers La Voz and Página 12. At the end of the 1980s, she began to create photographic series on the subject of emotional and affective ties, especially among women. In 2007, she organized a photography workshop in women’s prison No. 3 in Ezeiza. She has received various grants and awards, including a Guggenheim fellowship in 1995. She currently coordinates photography workshops and clinics and works with the agency VU’.